Hi! Welcome to Wine for Rookies - your home for easy, breezy, reliable advice on all things imbibable: reviews, rastings, resources for everyone from the novice to the collector and back again. Want to know our favorite pours & pairings of the moment? Check out the wine basics blog! Completely clueless on vino and looking for a crash course? Check out Wine 101. Are you an experienced sommelier, collector or passionate enthusiast? Check Get Your Geek On (and be sure to let me know exactly what's on your mind). Having friends over for dinner and curious to know which wines to select? Check out our favorite food and wine pairings. Already tired of this site? 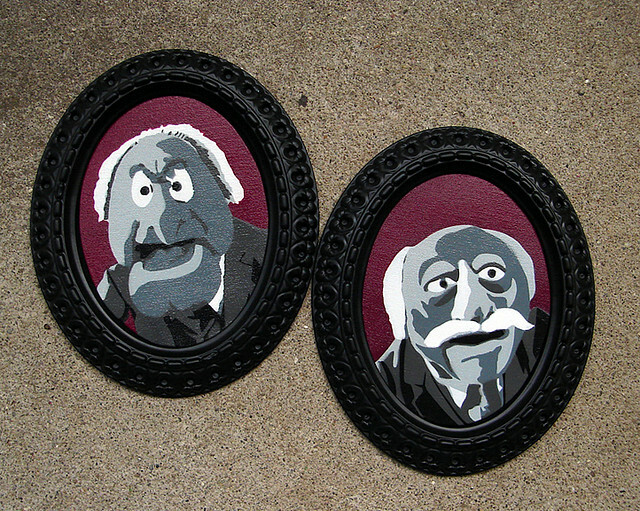 Then you are offically Waldorf & Statler from the Muppets! Having said that, you can also check here for links to my picks for the most enlightening wine related folks currently on the interwebs. Do you still want to know a little more about Wine for Rookies, and why we might be qualified to give you advice on....anything? Check here. Don't know the difference between Burgundy and Bordeaux?